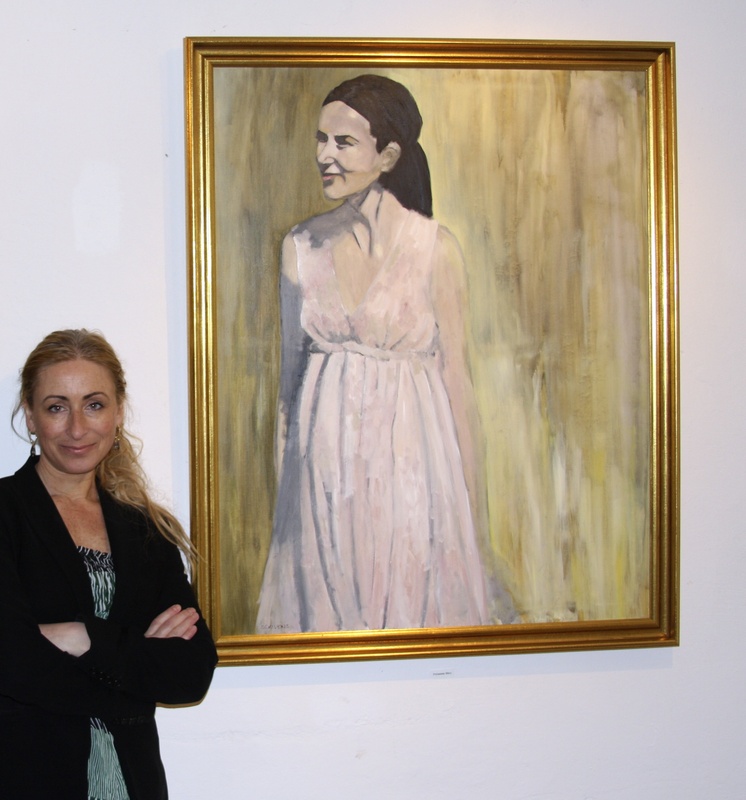 A special exhibition that included my portrait of pregnant Crown Princess Mary. Amalienborg Palace, Copenhagen from September 2016 until April, 2017. This portrait was a personal and untraditional one of the future Queen of Denmark pregnant with Denmark’s future King. The portrait of the Princess was exhibited together with the dress that she wore on this day. The exhibition also showcased 2000 other artifacts from the Danish Royal Family’s collection of art, jewelry, clothes and memories. The portrait now belongs to the Princess. Several years ago I painted this portrait of Crown Princess Mary of Denmark. She later saw the painting and liked it, it now hangs in her private quarters in Amalienborg Palace, Copenhagen. 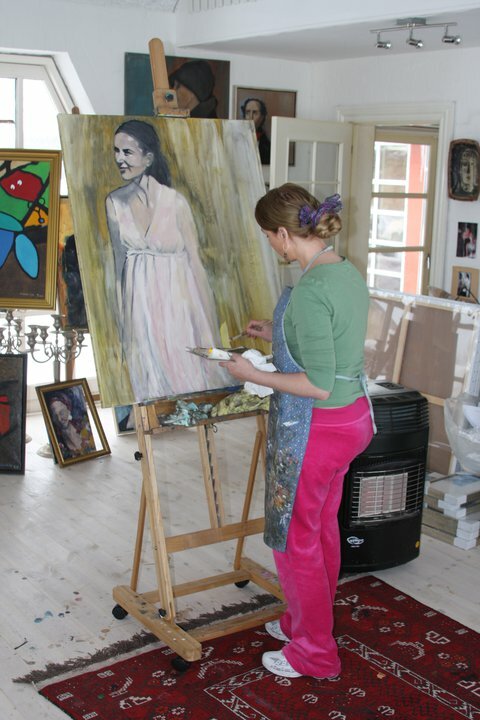 Here I am in my studio working on the painting. Princess Mary’s relaxed demeanor and obvious joy of pregnancy touched me. It inspired me to paint her portrait from this photograph.